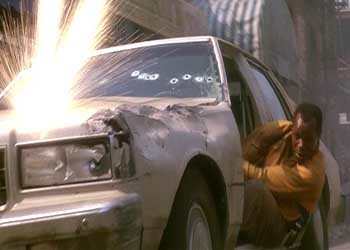 Predator 2 isn’t as good as Predator. OK? 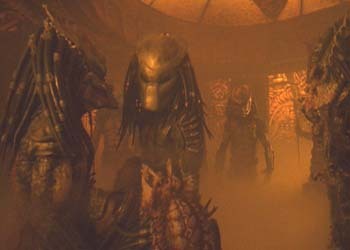 Now that we’ve sufficiently lowered our expectations, we can enjoy Predator 2 for what it is: an over-the-top, campy, fun popcorn movie. Danny Glover isn’t the natural choice to fill the shoes of Arnold Schwarzenegger; he’s 40-something and runs like an old man, but he adds an “everyman” feel, sort of like Bruce Willis in Diehard or Carrot Top in Chairman of the Board. 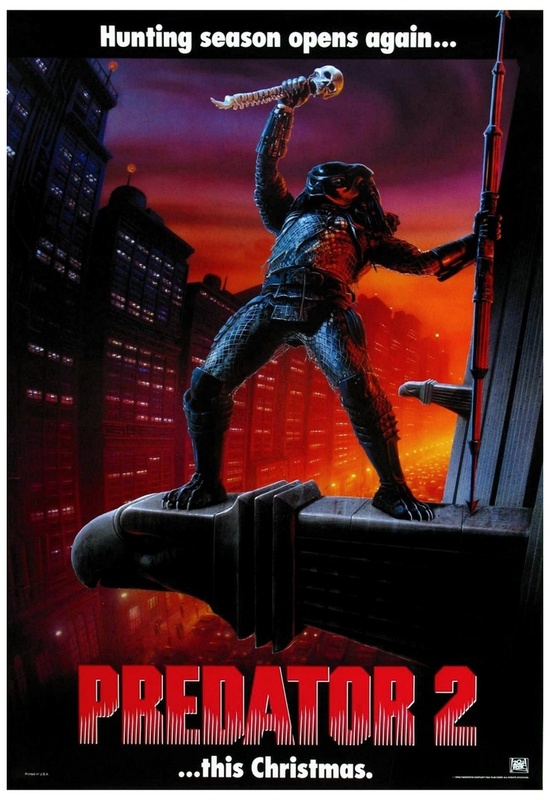 This time, an alien predator takes its safari to the “urban jungle” — in this case, a Los Angeles of the not-too-distant future overrun by ridiculously exaggerated, politically incorrect, Robocop-style armed-to-the-teeth gangs. The two major warring factions are the coked-up Colombians and the voodoo-practicing Jamaicans. 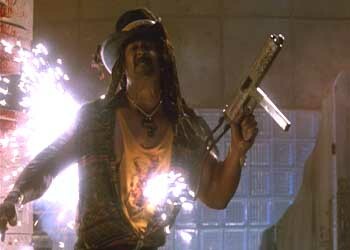 Can someone please tell Hollywood that voodoo is not Jamaican (see also Steven Seagal’s Marked for Death)? And if any Jamaican does perform voodoo, he’s probably not also a Rastafarian. Glover, in one of the few films where he’s the lone, top-billed star, plays the cop determined to stop the monster, although seeing that it’s wiped out half of the gang members in town, would he really want to? Hella-tall Kevin Peter Hall — not to be confused with hella-small Anthony Michael Hall — reprises his role as the beast. 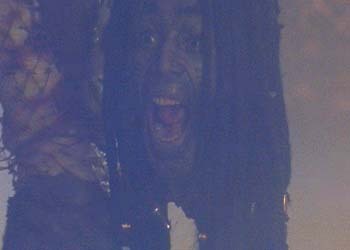 Even as a disembodied head, Whoopi Goldberg was annoying. Hanes had to recall its line of Exploding Tank-Tops.